Home Helpers provides in home non-medical services. We are mother-daughter owned and operated and know first hand the challenges you face as a Caregiver. We are here to assist in your efforts for anywhere from 3 hours at a time to 24 hours a day. We can provide light housekeeping, medication reminders, shopping, transportation, companionship and personal care. All caregivers are employees of Home Helpers and are fully screened, insured and bonded. 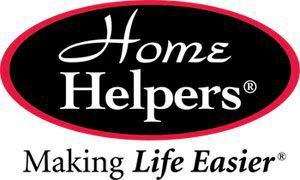 Call Home Helpers-Making Life Easier!